At eleven weeks post relaxer plus the humidity and daily exercise I could not contain myself. So I did my relaxer touch up a week earlier than planned because my roots were beginning to tangle almost on a daily basis. 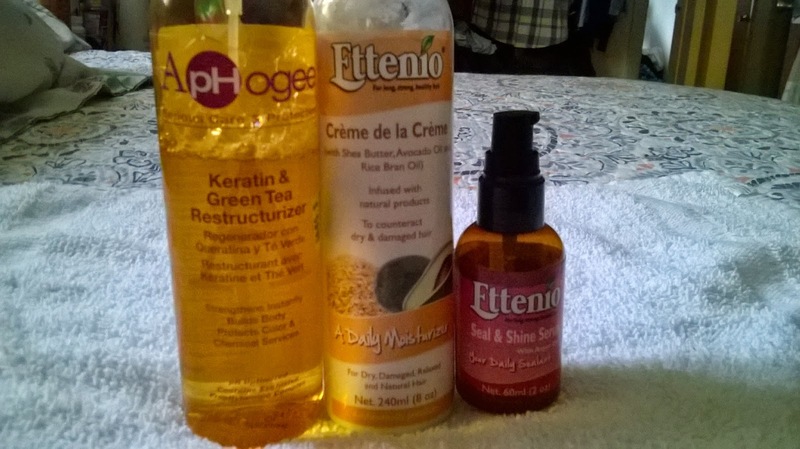 I sweat mostly in my head when I exercise so every other day I have wet roots and even though my Ettenio Moisture Milk keeps it moisturized it didn't prevent it from becoming a mini Afro. 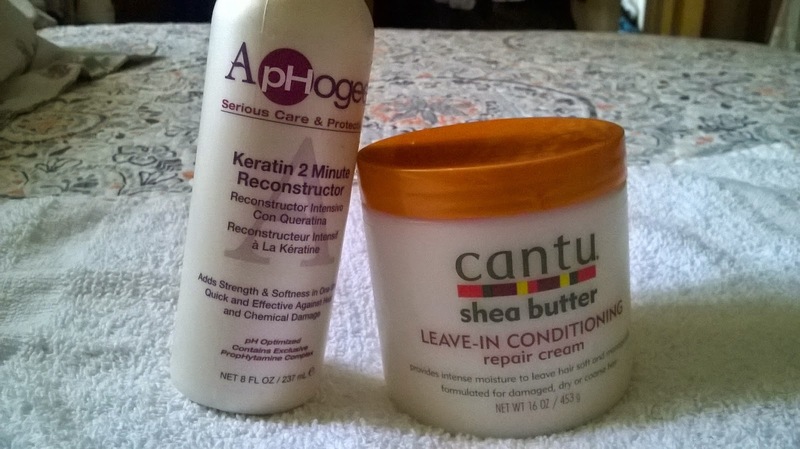 1- Protect my ends from getting over processed by applying Cantu Shea butter leave in conditioner to them. 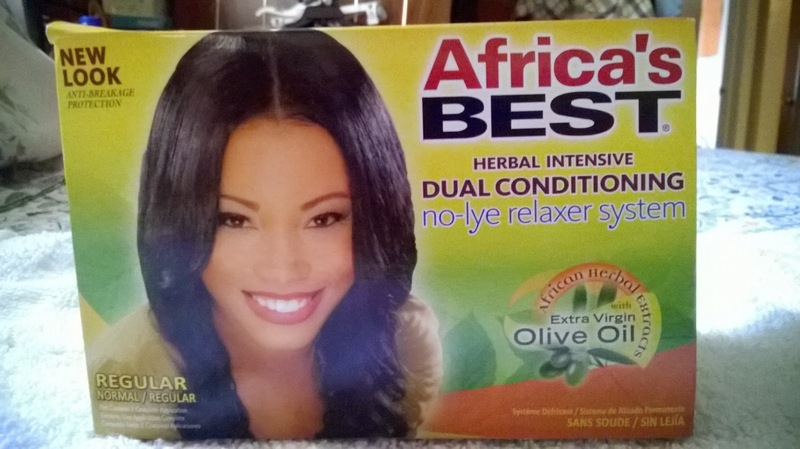 I then add two tablespoon of olive oil to my Africa's Best relaxer to ensure I get the same texlaxed result as the last two touch-up. 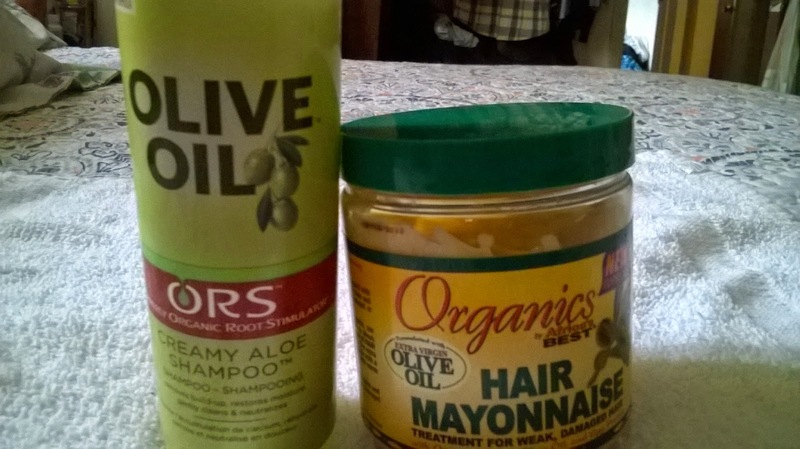 2- After I have applied the relaxer I applied some ORS olive oil creamy aloe shampoo to my ends before I began washing out the relaxer. After all the relaxer was out I shampooed with ORS olive oil creamy aloe shampoo three times to ensure I didn't have any relaxer residue. 3- Applied Aphogee Keratin 2 minute re constructor treatment and rinsed. - Deep conditioned with Africa's Best hair mayonnaise under my conditioning cap for 30 minutes. After which I rinsed and towel dry for roughly 15 minutes. 4- Applied by leave in treatment of Aphogee Keratin and green tea restructurizer and air dry for 2 hours. - Applied Ettenio creme de la creme and Ettenio seal and shine and roller set. The relaxer results were as I expected and I choose to do a protein overload because of the relaxer touch-up. I have been on this healthy hair journey for the last seven months and I see the health and strength my hair has gain, however I refuse to do a length check until my one year anniversary. That being said, I am constantly getting compliments on the length of my hair from friends and to tell you the truth after this touch-up I'm finally saw it for myself. So I am super excited to see what I'll see five months from now. Here's to another great wash day. I love my Ophogee products.